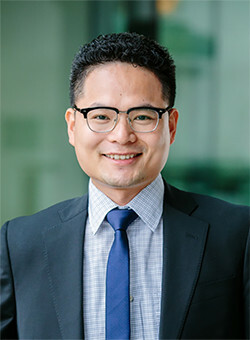 Biography: Dr. Adam Ye is a tenured Professor of Orthodontics and Head of WMU-UQ joint research laboratory for Regenerative Medicine. Prior to that, he was a tenured Professor and Head of Orthodontic department at James Cook University. He has a PhD (Ortho.) and PhD (Med. Sci.) degrees. He is an Orthodontic member of Royal College of Surgeons Edinburgh (MOrth. RCSEd. ), Fellow of International College of Dentists (FICD) and an elected fellow of Royal Society of Medicine, UK. Prof. Ye is a leading expert in Dental Stem Cell & Regenerative Medicine research with more than 70 original scientific papers and review articles, of which most are in high impact dental and medical journals. He co-authored a postgraduate textbook entitled Evidence-based Stomatology. He is an Executive Board Member of Australasian Begg Society of Orthodontists (2010-17) and was the Councillor of IADR Far North Queensland session (2014-2016). He leads a research group with focus on craniofacial and dental stem cell research. 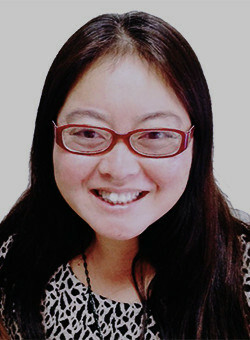 Prof. Ye is review panel member for Australian Research Council and Hong Kong Innovation and Technology Support Programme. Moreover, Prof. Ye serves as an Associate Editor to the Journal of World Federation of Orthodontists (2012-17) and Journal of Investigative and Clinical Dentistry, and as an editorial board member or referee for over 30 biomedical journals. Prof. Ye has been frequently invited as a keynote speaker in conferences around the world. Abstract: Spinal cord injury (SCI) is one of serious traumatic diseases of the central nervous system and has no effective treatment because of its complicated pathophysiology. Tissue engineering strategy which contains scaffolds, cells and growth factors may provide a promising treatment for SCI. Dental pulp stem cells (DPSCs), derived from cranial neural crest, possess mesenchymal stem cells (MSCs) characteristics and have an ability to provide neuroprotective and neurotrophic properties. Basic fibroblast growth factor (bFGF) is able to promote cell survival and proliferation. Therefore, our hypothesis is that combination of DPSCs and bFGF will have beneficial effect on neural regeneration and functional recovery after SCI. Methods: A thermosensitive heparin-poloxamer (HP) hydrogel containing DPSCs and bFGF was prepared, and the effects of HP-bFGF-DPSCs on neuron restoration after SCI were evaluated by functional recovery tests (BBB score, footprint), western blotting, magnetic resonance imaging (MRI), histology evaluation and immunohistochemistry. Results: The results suggested that transplanted HP hydrogel containing DPSCs and bFGF had a significant impact on spinal cord repair and regeneration. The function of spinal cord has been significantly repaired after the transplantation of a thermosensitive hydrogel that combining dental stem cells and bFGF. Conclusions: Combination of dental pulp stem cells and growth factor bFGF may provide a promising strategy for neurons repair, functional recovery and tissue regeneration after SCI. Biography: Qian Ji teaches POWER academic writing studio and Women’s Health at Texas A&M University. She has been studying, working, and living in US for over eighteen years. She received her master and Ph.D. training Health Education in Texas A&M University. Her research areas include women’ health, emotional health, and the relationship between expressive writing and health outcomes. She is a theory lover and always interested in how to make connections between theories and real world applications. She is also actively engaged in promoting academic writing strategies for graduate students, especially among international academics and has delivered several workshops on the POWER Writing Model to graduate students and health care researchers. Abstract: Previous studies suggest ESL academic writers experience stronger academic-related stresses than non-ESL peers do. The challenges for ESL academic writers are: 1) language limitations, 2) cultural differences, 3) increased hours spent on understanding and writing, and 4) increased emotional stress. This presentation will introduce eleven healthy writing habits, two useful brainstorming tools, abundant academic writing related resources, efficiently editing tips, and publication procedures. Promoting Outstanding Writing for Excellence in Research (POWER) provides practical strategies for academic writers, especially ESL writers, to build up healthy writing habit, write regularly, edit and revise more efficiently and effectivity, and become more productive in academic writing and stress less for publications. This interactive presentation will provide hands-on tools to help ESL academic writers learn to write more and eventually publish more. Participants will discover and practice useful strategies needed in academic writing in order to maximize writing productivity, such as, how to make your writing plan, how to write keep the writing momentum, how to write regularly, and how to build up your own support system!